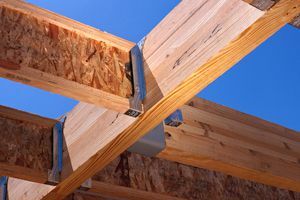 Where do you need Carpenters? Duarte Building and Construction, Inc. Comment: It's an existing window that we took out the glass on one side to put in a window air conditioner. The size of the replacement glass and screen side is 17"high and 22" long. Comment: We have a JT Window Garden Window - wood clad with aluminum exterior (see http://www.jtwindows.com/clad-garden-window/). We have low e dual pane glass. 2 issues: 1) The right side (looking from inside the house) crank window has a broken mechanism / hinge - when you open it, it sometimes gets loose and is in danger of falling out. 2) The main front window (static) has water vapor between the panes. Comment: I want to remodel my master bedroom closet and extend it. Comment: Adding a second story and attaching a garage. Comment: I need the cabinetry above a built in refrigerator cut back as much as possible to allow a larger unit to be installed. Comment: I need crown molding installation in my living room which is 20 x 13 ft. I have the molding. La Crescenta Carpenters are rated 4.73 out of 5 based on 416 reviews of 21 pros. Not Looking for Carpenters Contractors in La Crescenta, CA?